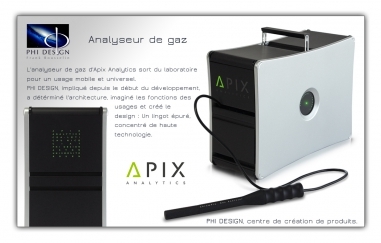 The Apix Analytics gas analyser is one of our latest laboratory-designed products for mobile and universal use. PHI DESIGN, involved since early development phases, determined the architecture, imagined the functions and uses, and designed the product. A streamlined ingot of cutting-edge technology.